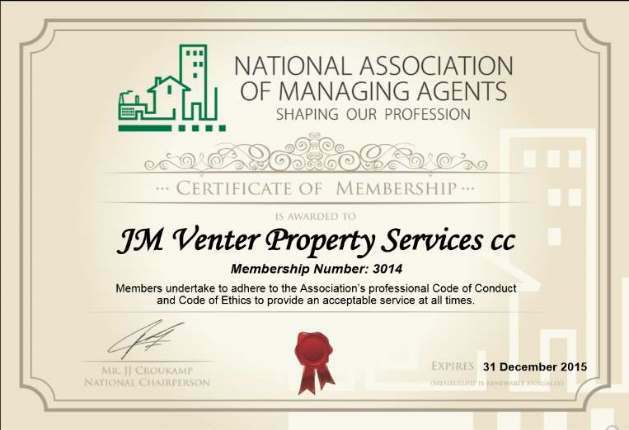 JM Venter Property Services CC believes in continues study keeping us abreast with latest developments and practices in our field of expertise. We assist in the planning, organizing, leading and controlling of all duties pertaining to the administration of Sectional Title Bodies Corporate and Home Owners Associations. Our vision is to provide our clients with property management services, present advice, assistance on managerial, secretarial and accounting levels.